I love Scotch, and one of my first lessons many moons ago was to make The Famous Grouse a starting point on the ladder of quality. Characterful Scotch at an everyday price. 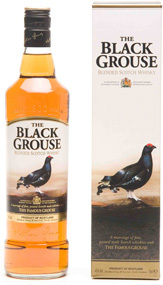 This week I tasted the newly created Black Grouse which delivers a more peaty and smoky experience – but not extreme. And it’s value-priced, just like of the original Grouse. Check it out.